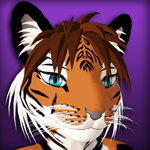 Add a new voice to your avatar with Furry Voices for Second Life®. Now you can sound like a Cat, Fox, Squirrel and more! This add-on works with MorphVOX Mac to give you 10 new animal voices. Using some of the latest speech filter technology, the FREE add-on can transform you into an animal. Whether you choose to play the King of the Beasts or just a Harmless Little Bunny, this voice add-on can enhance role-playing and add fun to online chat. Check Out the Voices in this Pack! Click the images below to hear the voices. Special thanks to Luskwood for providing the beautiful images used in this voice-pack. Luskwood Creatures is Second Life's first, oldest and original furry/anthropomorphic avatar design group. Luskwood Creatures has created over 350 avatar styles and has sold over 37,000 avatars in their four years of experience in Second Life. As SL's pioneering avatar design group, Luskwood Creatures is a leader in design, functionality, and avatar modeling expertise. All of Luskwood's avatars are fully customizable and modifiable by you to match the personality and identity you wish to create, - both visually, and now with the help of MorphVOX Pro, audibly. Please visit Luskwood Creatures at http://www.luskwood.com, or come to Luskwood (secondlife://Lusk/215/130) inside Second Life.